Members of Salon Jane will be speaking on October 21st from 1pm to 2:30 at the La Mirada Education Center. I will be part of this talk, speaking about my new series which is now on exhibit at the Museum’s Pacific Street location in Monterey. Introducing the New Work gallery in this website! 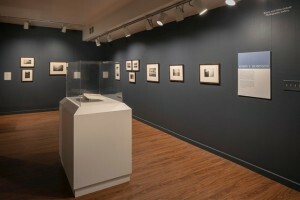 This gallery contains recent images which are now on view at the Monterey Museum of Art. See previous post for a description. I am pleased to share work from my newest series concerning the relationship between The Earth and ourselves. This work will be part of an exhibit at the Monterey Museum of Art this fall (see previous post). My new series is based on ideas about the human species and the relative permanence of the Earth, with questions about our brief time here. This unique moment on the planet feels unsettling and desires perspective. My intention is to provide intimate suggestions of our place in this liminal state, reflecting on the planet’s origins, our own lineage, our physical and spiritual presence, and the future of humans being. 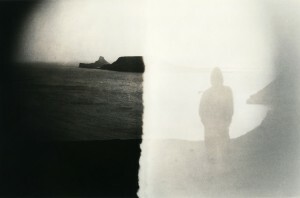 All prints are handmade in the darkroom using the lith process. To get a sneak preview, visit the Salon Jane website and take a look at my page (click image below).